“Aplicom” GPS tracking devices available for every vehicle tracking. By embed those gadgets into motors, accurate location or route are recorded and usually seen on the screens of smartphones or computers. Great variety of “Aplicom” GPS trackers also suitable for fleet management can be found online with reasonable price. 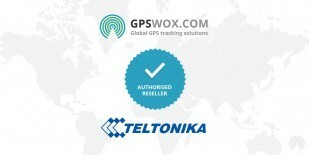 Aplicom GPS Tracker devices support GPS Tracking Software provided by GPSWOX. Do not wait and get your own Aplicom GPS Tracker device which support GPS Tracking Software.